After World War II, an estimated 2.5 million East Germans fled to West Germany. East Germany had lost a sixth of its population, and the government wanted to stop their people from leaving. They closed the border between the countries and erected the Berlin Wall. Soldiers patrolled the barrier, and they were ordered to shoot anyone who tried to escape. The Wall was largely effective, although many people still risked death or imprisonment trying to escape. 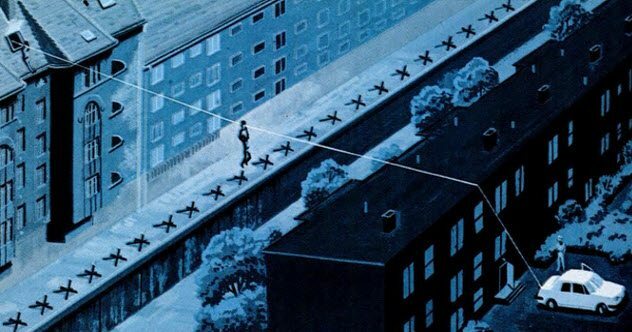 The following people each made extraordinarily brave escapes over, under, around, or through the Berlin Wall. Coworkers Peter Strelzyk and Gunter Wetzel wanted to escape East Germany. However, they could not think of a safe way to freedom. Wetzel’s sister visited, and she brought an American magazine that had an article on hot-air balloons. Wetzel thought that he could create a balloon to get over the border. 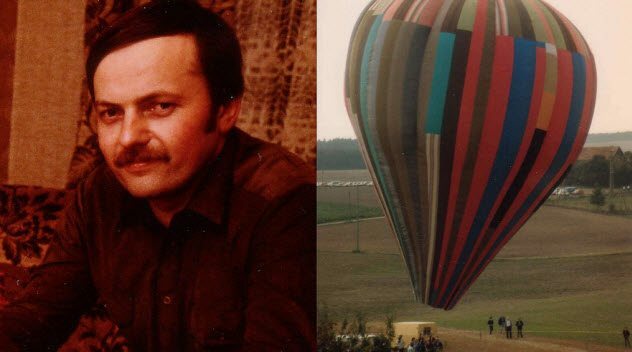 He told Strelzyk his idea, and the duo made plans to escape via balloon. After learning how to create a balloon from textbooks, they started designing their escape vehicle. Their first two attempts were failures, so they began to lose hope in their creations. They considered giving up, but the government had become suspicious. They had no choice but to continue. Fortunately, their third attempt was successful. The coworkers waited until midnight to gather their wives and children onto the highest nearby hill. The families huddled into the basket of the untested balloon. It floated into the air, and they began to fly toward West Germany. As they approached the border, searchlights turned on them. Luckily, the lights could not reach them. The flame on their burner went out. They tried to restart it, but they had run out of gas. The balloon soared downward, and it crashed to the ground. The families did not know what country they had landed in. They started walking and came across policemen, who confirmed that they had reached West Germany. Harry Deterling had wanted to escape East Germany since the wall was erected. Deterling was a known critic of the government, and they had threatened to send him to a work camp. He knew he needed to escape soon. Deterling, a train engineer, heard a rumor that the train rails still connected East Berlin to West Berlin. However, they were going to be dismantled soon. 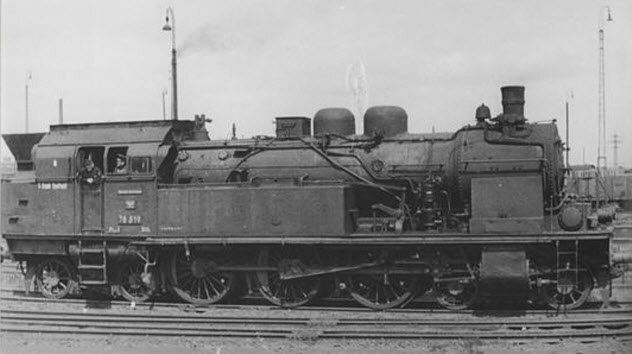 He asked his train’s stoker, Harmut Lichy, to help him and his relatives escape. Lichy agreed, and the pair began to plan their escape. Deterling chose a route that would bring him close to the border. He told his family and friends that he was escaping, and 24 of them joined him on the train. As Deterling approached the train’s designated stop, he did not slow down. Instead, he hit the throttle. The train raced past the stop and thundered down an abandoned stretch of track. The East German guards were too startled to fire a shot. As the train approached the barriers, Deterling and Lichy took refuge in the coal reserve while everyone else threw themselves on the floor. The train crashed through the barriers and skidded to a halt in West Germany. None of the passengers was harmed in their escape attempt. Horst Klein was an outspoken anti-communist, which angered the East German government. He was banned from appearing in circuses, which was devastating for the professional trapeze artist. Klein decided to escape. He chose to flee via the power cables that linked the city. Klein climbed an electricity pole and leaped onto the big porcelain insulator on the cable. He was terrified. Klein knew that if he touched the tower and the cable at the same time, he would be turned to ashes. He eased himself onto the cable and slid 64 meters (210 ft) to another insulator. Klein jumped to a second tower and looked down. Beneath him were two East German guards, who patrolled the area. Fortunately, he was above the beams of their searchlights. Klein slid a further 27 meters (90 ft), and then he began to unravel a rope that he had coiled around his chest. He threw the rope across the cable and tried to lower himself onto the western side. Unfortunately, his hands had numbed in the outdoor cold of -14 degrees Celsius (7 °F). Klein missed the rope and fell 12 meters (40 ft). He managed to land a few feet inside the western border. Klein’s fall knocked him unconscious for three hours. When he awoke, he yelled for help. A woman heard him and called the police, who brought Klein to the hospital. He was in reasonable health aside from his two broken arms. Joachim Neumann, a civil engineering student, never cared for the marching and shooting drills that students had to do. He often played hooky. After he and his fellow students were forced to sign a document agreeing to defend the state at any time using weapons, Neumann decided to escape to the West. He borrowed a Swiss passport from a fellow student. The student gave him a few bits of Swiss paraphernalia—a movie ticket, change, and transportation tickets—to convince the guards that Neumann was from Switzerland. It did not occur to him that he could not speak with a Swiss accent until he was standing in front of the East German guards. He decided to pretend to be an arrogant Swiss tourist. The guards tried to make small talk, but Neumann responded by sticking his nose in the air and harrumphing. He refused to utter a word, and the guards gave up and waved him through into West Berlin. Neumann had escaped. However, he had left his girlfriend and friends behind. He had promised to help free them, and he intended to keep his promise. 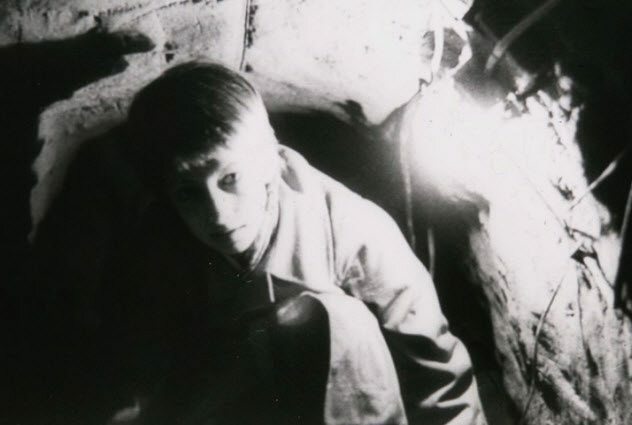 Neumann asked fellow students to help him dig a tunnel to East Berlin. They spent five months digging the tunnel before they reached the other side. Within two days, they helped 57 people escape, including Neumann’s girlfriend. Hubert Hohlbein had spent a lot of time in West Berlin before the Wall was built, and he missed the life he once had. He and two of his friends began to plan an escape. They bought diving suits and spent three months training in the waters around Berlin. The friends escaped one at a time. They were worried that three people would be noticed in the water. Hohlbein was the last to go. He waited until midnight, and then he silently crept into a river that divided the two Berlins. Hohlbein’s diving suit had a lead belt that helped him stay deep in the water. 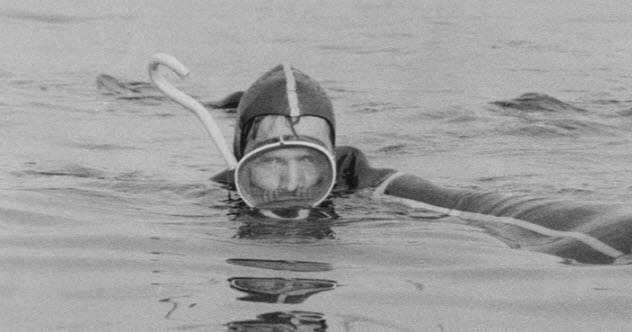 He tried to stay hidden in the water and used a snorkel to breathe. Hohlbein only surfaced to make sure that he was traveling in the right direction. He kept his eyes on a bridge in West Berlin. Once, a light from the border soldiers lit up the lake, but they did not notice Hohlbein. After an hour and a half, he reached the other side. He went to the bridge, where he was congratulated on his escape by Western police. Hohlbein was determined to help his family escape East Germany. He joined Joachim Neumann and helped dig the tunnel that allowed 57 people to escape. Hohlbein’s mother was among the group. Austrian Heinz Meixner worked in East Berlin. There, he met Margarete Thorau at a ball. The pair fell in love and planned to marry. However, her government would not allow her to leave. He began working on an escape plan to free his girlfriend and her mother. Meixner was allowed to leave the city whenever he wanted. He borrowed a scooter from a friend and measured the height of the barrier between the cities. It was 90 centimeters (35 in) high. 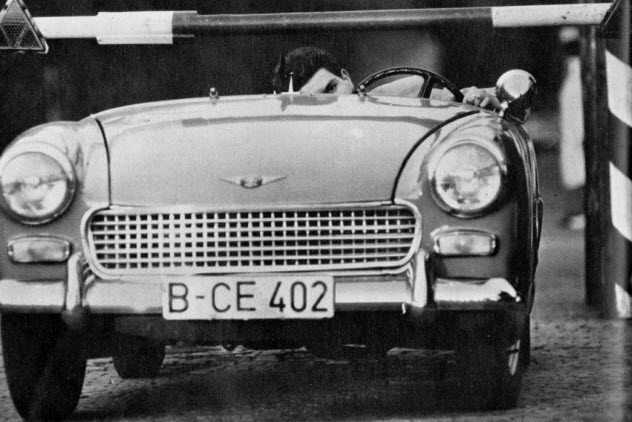 Meixner began to look for a car that could drive under the barrier. He could not find one. Instead, he rented a small sports car and dismantled the windshield. The car was now 7.5 centimeters (3 in) lower than the barrier. His girlfriend hid in a tiny space behind the driver’s seat. Her body was covered by the car’s retracted roof. Her mother was hidden in the trunk, covered with 30 bricks in case the soldiers opened fire. Meixner drove to the Wall. The guard was suspicious because the car lacked a windshield, and he directed Meixner to the customs section. Instead, Meixner hit the gas and ducked his head. He raced under the barriers that separated the city. The car flew into West Berlin. When Meixner hit the brakes, he left skid marks that were 29 meters (96 ft) long. Wolfgang Engels had worked as a soldier while the Berlin Wall was built. He soon started to reject the teachings of his country and decided to take the first chance to escape. His chance came soon. Engels befriended a group of army drivers, and he allowed them to drive his vehicle. In return, the soldiers showed him their vehicle—an armored personnel carrier—and they showed him how it worked. Engels was confident that he could drive one. He waited until the crew went to lunch, and then he stole the tank. The city was full of military traffic, and he went unnoticed. Engels approached the Berlin Wall. He leaned out of the vehicle and offered bystanders a ride to the West. No one joined him. Engels revved the engine and sped into the wall. He did not make it through. He climbed out of the tank and was shot by a border guard, twice. Stray rounds came close to West German police, who returned fire. A group of men left a nearby bar and formed a human ladder to save the injured Engels. They brought him inside the bar until paramedics came and brought Engels to a hospital. He spent three weeks recovering from a collapsed lung. Ingrid Ruske fell in love with Horst Fischer. The couple could not imagine a future in East Germany, and they decided to escape to the West. Fischer went to Poland to get forged papers. Ruske and her longtime friend Detlef Tiede soon followed Fischer. When Fischer did not meet the pair, they suspected that their plans had been revealed. They were afraid to return to East Germany because they believed that the police were waiting for them. The pair bought a toy pistol and booked a flight to Berlin. Shortly before landing, Tiede took a Polish stewardess as a hostage. He demanded the plane fly into West Germany. When they landed, Tiede let himself be arrested without resistance. Ruske was soon taken into custody. 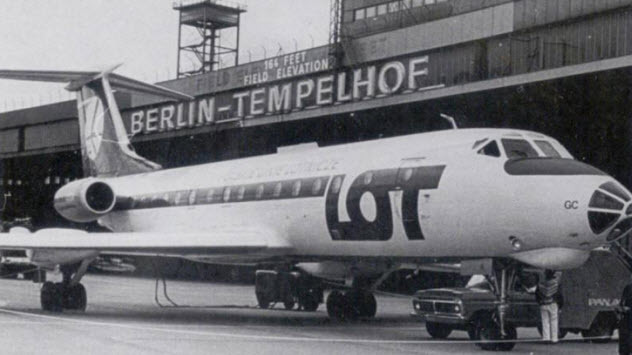 As the plane had landed in the American sector of Berlin, they were both tried by an American court. Tiede was sentenced to nine months in prison. However, the case against Ruske was terminated as she had been deprived of a lawyer for two months. They found out that Fischer had been caught by the East German police. He had been sentenced to eight years in prison. However, West Germany intervened and he was released the following year. Peter Dobler was an assistant physician at a hospital. He was talented, but he could not advance in his career because he had criticized the government. After Dobler’s marriage ended, he realized that he had nothing left in East Germany. He spent the next two years plotting his escape. Dobler decided to swim across the Baltic Sea. He practiced swimming for hours, he studied the stars, and he memorized sea maps. Dobler was certain that he could make it to West Germany. 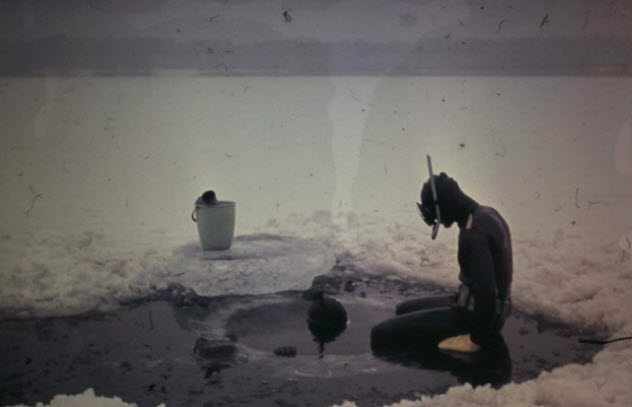 He put on his diving suit and brought a little bundle of supplies—painkillers, chocolate, tape, and a compass. Dobler also brought appetite suppressants, which had a similar effect as Ecstasy. He took one every four hours. He spent the next 24 hours swimming 48 kilometers (30 mi) to West Germany. Aside from the occasional searchlight beam, Dobler’s journey went without incident. He spotted a boat near the West German border, and the owner helped him board it. Dobler was exhausted and thirsty, but he had made it to West Germany. 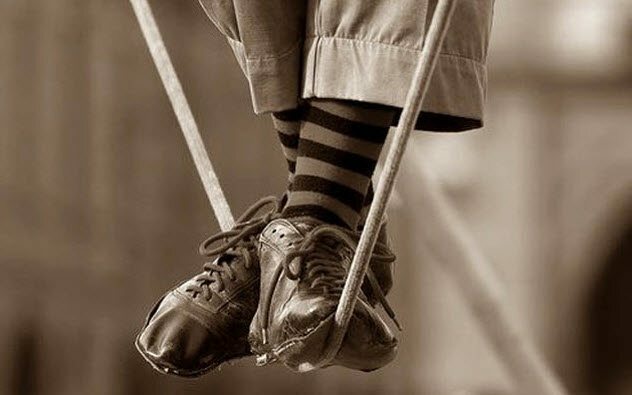 Michael Becker discovered a West German magazine that featured a family who had escaped with pulleys and a steel cable. Becker decided to escape in the same way. 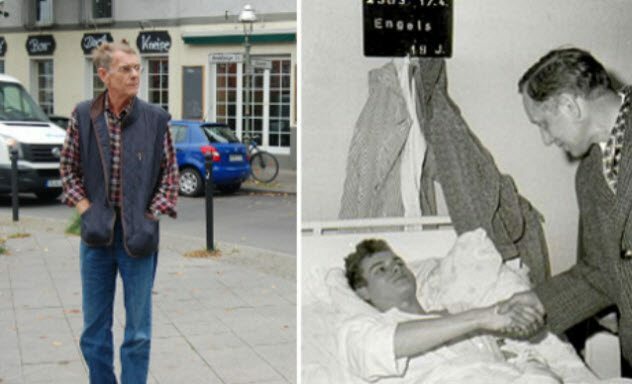 He found a partner in Holger Bethke, whose older brother, Ingo, had escaped East Germany on an air mattress several years earlier. Bethke and Becker began perfecting their escape plan. They practiced archery and using their zip line in a park. They told onlookers that they were training for the circus. Bethke found the perfect place for the duo to escape. Two tall houses flanked the narrow border between the cities. They dressed as electricians and sneaked into the attic of one of the houses. They waited until Bethke’s brother contacted them with a message on a smuggled children’s walkie-talkie. Then Bethke walked over to a window and shot an arrow that flew over the border. A steel cable was attached to the arrow. Bethke’s brother picked up the arrow and tied the rope to the bumper of his car. Bethke tied his side around a chimney. He had designed a metal pulley that could slide down the rope. He snapped the pulley over the rope, grabbed the handles, and jumped. Bethke traveled 50 meters (165 ft) over the Berlin border. Both he and Becker easily made it to West Berlin. Later, the Bethke brothers learned how to fly an airplane, and they rescued their younger brother, Egbert, from East Germany. Read more about daring escapes on 10 Amazing Great Escapes That Really Happened and 10 Daring Escapes That Succeeded Against All Odds.